Nice Score Jyndrek, your score has been verified and is legal. Good Job for first posting. Barns, I need all of the fish caught and final challenge score for large fish to be legal, Thanks, by the way a very nice fish at that. 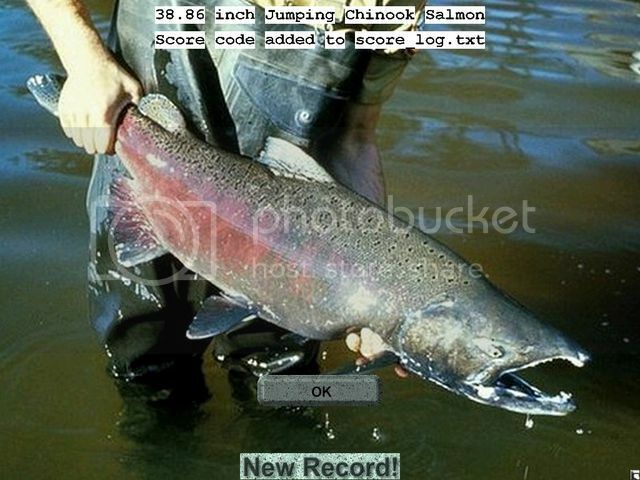 Score has been verified and legal and big fish has been verified and legal and is posted to the scores just below the in Scores for Cutch's Mckenzie River Challenge. Excellent fish. Congratulations for the biggest fish caught so far. Didn't realize you needed all the fish, please ignore my fish then as i deleted rest and only kept biggest. After seeing i had to produce all fish i decided to go back to some quick fishing, score no use but think biggest fish might get everyone going again. Sorreeeeeeeeeeeeeeee Jyndrek. Also there is a fish bigger than yours Roger, come on mate its not that hard to find these big fish. Looks like our man Barns is getting serious about this competition and still has his touch! Congratulations on netting a great catch. I have a feeling it will be a photo finish to the end with the difference being fractions of an inch and this is great. Roger, Jundrek and Badger are very capable fishers of RWFF and they should be chasing your record within the next few days. You have to keep trying and keep your fly in the water to get the big ones. C'mon guys, I know you can give Barns a good run for his money! You need to check my scores 3 spaces below the challenge on the forum. Check out #1 position, I think you will be surprised guys. His name starts with Badger. Cannot get anywhere near my 2nd score, but here is another fairly good score. A bit of a mix bag of sizes. 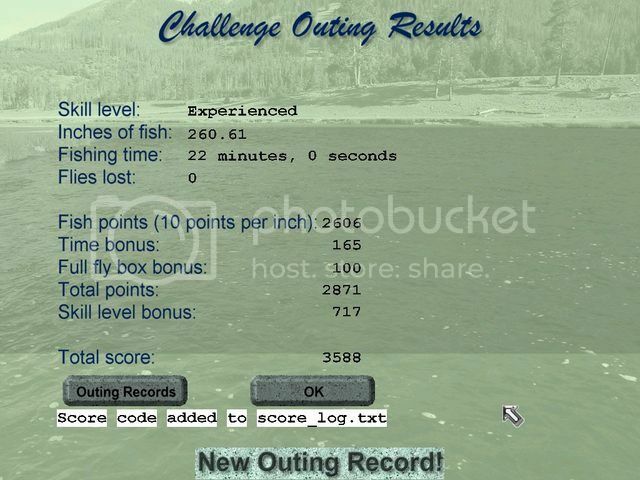 Doing better then me, I haven't gotten close to your score, hooked a few huge fish but they snapped me off. Still three days left anything can happen. Yours is still high score for now on challenge. Good luck. My Congratulations to ALL per impressive results and the landed with a huge fish. That is some fish to beat now, twice i was broken fairly easy last night on same site, now i know why. I will try again now and take it a bit easier if i hook something i think is going to be big. Well done, it was there for the taken, especially by a good angler. Congrats.